Specialising in traditional timber construction, Pelham Structures have for many years built some of the areas most attractive, sought after and individual houses that are completed to exacting standards and high specifications. They carefully blend traditional Oak character features with a contemporary feel and specification to create first class family homes. This substantial new detached house provides an entrance hall, cloakroom, Living room with fireplace and wood burning stove, a large family sized kitchen/dining/family room and a utility room on the ground floor. 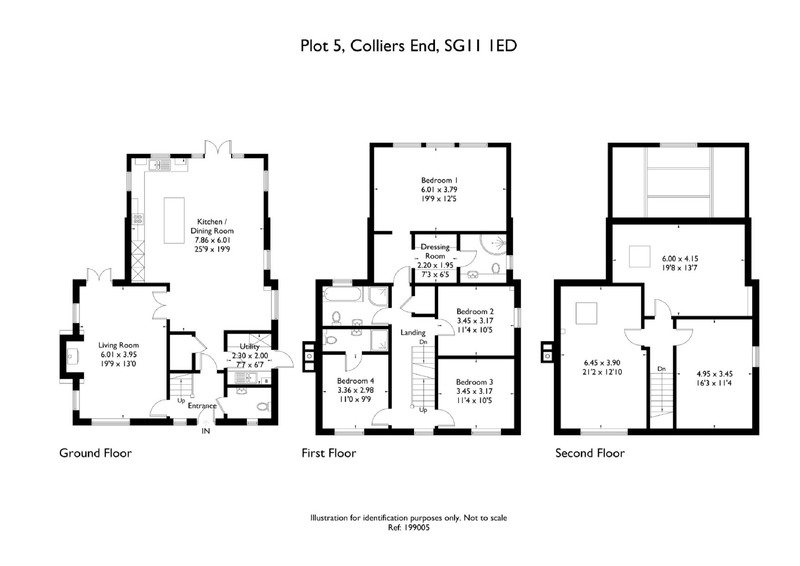 The first floor enjoys a master bedroom suite with large double bedroom with high vaulted ceiling, a dressing room and en suite. A guest bedroom with en suite and two further double bedrooms together with a family bathroom. The top floor provides three loft rooms that can be used for a variety of uses. The good size garden adjoins fields to the rear with fine views over fields and to the front there is a driveway with further covered parking for two cars in the attractive heritage style car port.